Although mountain gorillas are still a critically endangered species, the population is growing. The International Gorilla Conservation Programme recently announced the results of their latest mountain gorilla census which documented a 25% increase since the previous count. 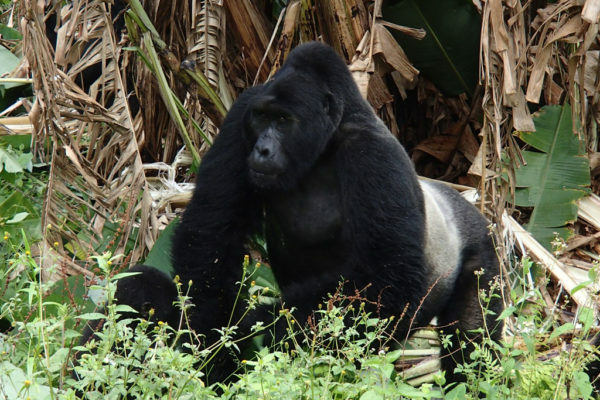 Mountain gorillas live in three countries: Rwanda, Democratic Republic of Condo, and Uganda. Years of habitat loss, poaching, and war / civil unrest dramatically reduced the population, which was added to the critically endangered list in 1996. Collaborative conservation efforts have prevented mountain gorillas from becoming extinct and also enabled the population to grow. Did you know…? There are three types of gorillas: mountain /eastern (Gorilla beringei beringei), western lowland (Gorilla gorilla), and Grauer’s gorilla (Gorilla beringei graueri). There are two populations of mountain gorillas – the largest lives in the Virunga Massif – an area that spans Rwanda, Democratic Republic of Condo, and Uganda and includes three national parks. 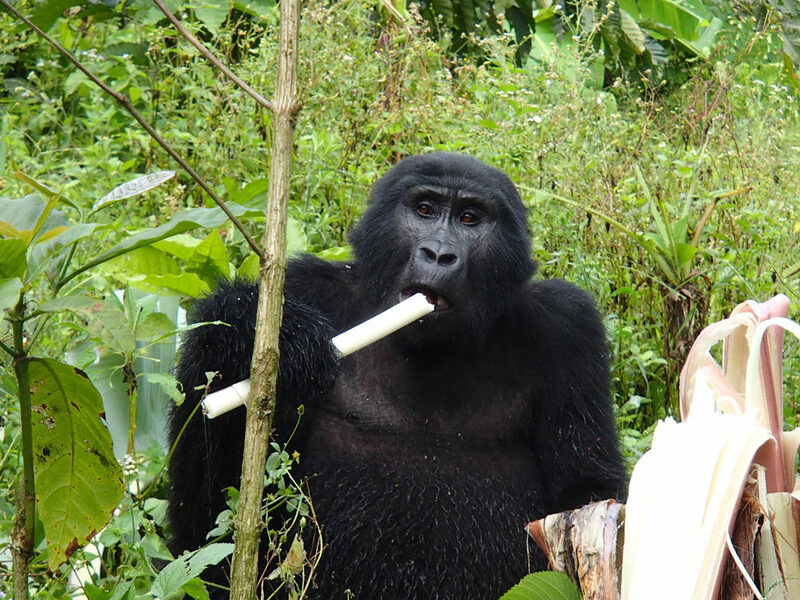 A smaller population lives in Bwindi Impenetrable National Park in Uganda. A majority of gorillas live in groups. Conservationists who observe and document the mountain gorillas have given each group a family a name. Read about each of the gorilla families and their silverback leader. Did you know…? There are no mountain gorillas in captivity. Some of the early advocates for mountain gorilla conservation include Dian Fossey and George Schaller. In the late 1970s conservation groups joined forces to work on key issues like anti-poaching and community education. In 1991, the International Gorilla Conservation Programme (IGCP) was formed as a coalition of three organizations (World Wildlife Fund for Nature, Flora and Fauna International, IGCP) to support conservation in Rwanda, Democratic Republic of Condo, and Uganda. See the International Gorilla Conservation Programme’s history and achievements. Mountain gorillas continue to face threats like habitat loss, disease, and poaching. 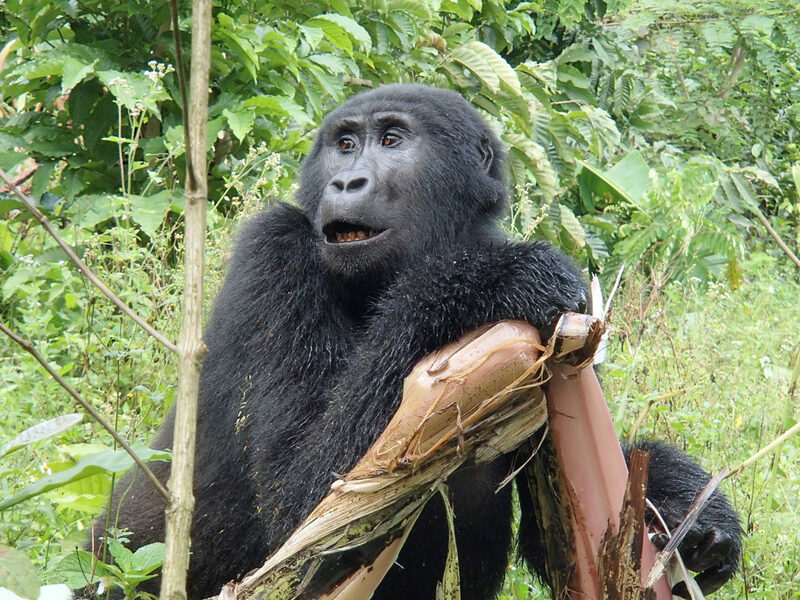 Conservation organizations seek to minimize these threats by working with national park staff, monitoring the gorillas, community outreach (education and socio economic development), and influencing public policy. Did you know that you can observe mountain gorillas in their natural habitat and learn first-hand about conservation? On our World Trip, we had the privilege of going on gorilla trek in Uganda where we saw the Rushegura family. It was an experience of a lifetime that also supported local communities and conservation. Read about our visit to Uganda. 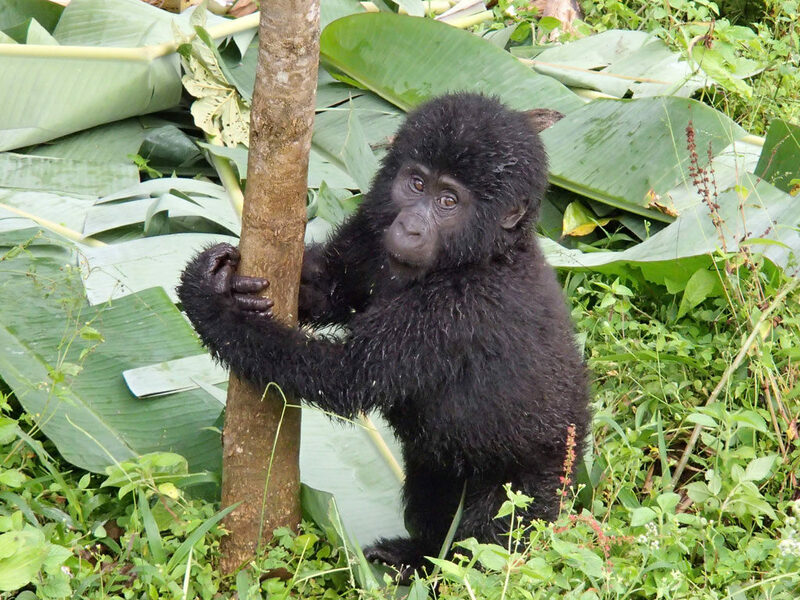 See how you can support mountain gorilla conservation.